A recent article in the Wall Street Journal (gated) made the claim that the ongoing pilot shortage is responsible for a drop of 50% in the value of Republic Airways stock. This is an unprecedented claim. What this means in less technical terms is that "this s#!t be getting real!" Republic Airways Holdings is a regional airline holding company based in Indianapolis. Through its subsidiaries Republic Airlines, Chautauqua Airlines and Shuttle America, the company operates regional feeds for its major airline partners branded as American Eagle, United Express, Delta Connection and US Airways Express. Republic maintained that their inability to reach an agreement with their pilot union coupled with an ongoing pilot shortage resulted in a reduction of about 4% of their flying and causing 2nd quarter results to come in well under analyst expectations. Last year Republic parked 27 of its 243 aircraft due to a lack of pilots according to the carrier. An irony here is that while dragging out labor negotiations is a tactic often employed to avoid raises for unionized employees, the current stall in talks is now hurting Republic's ability to attract new hires and to fulfill contractual commitments. The Government Accounting Office, coming a little late to the party, said they had "found mixed evidence" regarding the extent of a pilot shortage. Being astute as ever, what they've discovered is that the major airlines are as yet having little trouble attracting aviators away from the regional airlines. The real difficulty is being felt by the regional carriers in replacing those disappearing pilots. New government experience requirements have effectively closed the door to all but the most committed of new pilots. Only those who are willing to spend the better part of $100k dollars for a career which starts at about $20k and takes decades to reach the top tier are applying. New rest regulations are also reducing pilot productivity by 5 to 7% which increases the numbers of pilots the majors need to hire. The regional airlines themselves have little ability to increase revenue to cover the needed increase in salaries to attract new aviators. This is due to the long term fixed fee service agreements they have with their major airline partners. They have in effect wet leased their aircraft for a fixed rate and can only increase profit through cost cuts. It is this financial arrangement which allows the regionals very little wiggle room. There may not be a way out of this maze other than reductions in service. Republic Chief Bryan Bedford is even on record saying that the airline business will necessarily get smaller. What he actually meant by that statement is that the regional airline business will have to get smaller. As the economics of regional feeders evaporate, the majors may take some of this flying on themselves as I mentioned in a recent post. In the short term, look for 90 seat or larger regional airliners to become more prevalent as they have more advantageous economics. This trend may, however, leave smaller cities without service entirely. Capt. Rob, I disagree that this is a regional problem, and this is probably the most important misunderstanding I'm hearing from analysts and bloggers on this subject. To understand this, think about the fact that there are no regional passengers, routes, destinations, marketing, or other attributes of real airlines. They are all major airline passengers, flying on tickets marketed and sold by major airlines, on routes and schedules and to destinations determined by major airlines. Bottom line: if a regional airline loses a pilot, a major airline can sell fewer tickets, carry less passengers, they have lost capacity. Regional airlines are airlines, but not completely, as they own and control so little of their assets and operations. They exist to keep costs down at the major airlines, mostly labor costs. They are not quite shell companies, but are more like employment agencies, which large companies use to insulate themselves from various challenges of employing workers. For the three major airlines, they are also insulating themselves from analysts and investors, who don't seem to realize it is the major airlines who will sell fewer tickets in this pilot shortage. Investors may realize the airlines can raise ticket prices in a shortage of pilots and seats, and ultimately increase their profits with less product. That is true, and the regional airlines will not share in that prize, as they are not real airlines. The drop in value of Republic makes sense, but I don't think it is as simple as most articles about it claim. The major airlines created the regional airline industry to serve their purposes. 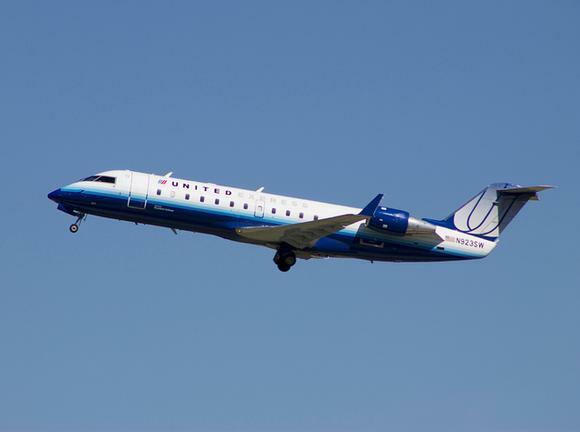 The regional airlines are shrinking, because the major airlines need them to shrink now. Can any regional airlines remake themselves into a real low-cost airline with their own passengers? Possibly, but the low-cost niche is going to be a tough nut to enter, and they will need significant money to keep pilots. Will this raise pilot pay? In countries with a long-developed shortage of pilots, smaller airlines pay more than major airlines. Major airline pilots cannot easily move to other airlines for higher pay, so their pay has not gone up. Overall, no real increase in pilot pay there, except for foreign pilots hired into the left seat. Thanks for your thoughtful reply. I agree that the pilot shortage is not a problem for regional airlines alone as the regionals are indeed creatures which exist at the pleasure of the majors for labor cost savings. With the exception of Southwest (counting only the big four) which has no affiliated regional, a pilot hired from a regional by its major airline partner is a simple move of a chess piece. Robbing Peter to pay Paul. The combined major-regional entity will lose revenue as you said. My point is that the pilot shortage will first manifest itself at the regionals as pilot salaries, as with any commodity in short supply, will necessarily go up. And as regionals exist, as you point out, for the main purpose of labor cost savings, higher wages bring into question the regionals' very raison d'etre. It makes little sense to maintain the regional model with its customer service frustrations if the labor cost savings are not to be realized. This I believe is the reason that Delta was attempting to purchase the Embraer aircraft they had on contract until the pilots turned back their tentative agreement. Delta apparently still needs/wants wage concessions from its pilots to operate those aircraft but Delta pilots smelling blood in the water declined. Republic of course did briefly toy with the prospect of transforming itself into a real airline with the purchase of Frontier, but again as you said they found that market to be tougher than anticipated and exited. The question that remains is whether the Frontier/Spirit ultra low cost model can scale with increasing cost inputs. Fuel is cheap but won't be for long. And again, given the huge demand for pilots coming from the majors, the ULCs will have to offer wages which at least match if not surpass those offered at United, Delta, et al. My prediction is that pilot wages must necessarily rise, regional airlines will gravitate to 90+ seat aircraft and will reduce operations tempo, and that there will be a continuing wave of consolidations in the regional market as the utility of that market model decreases. So Who Flies Into a Hail Storm?